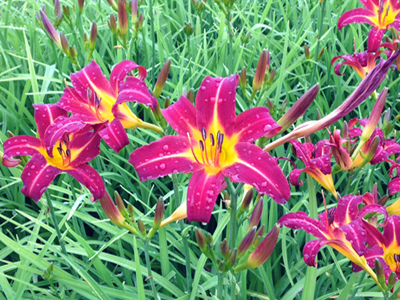 Hemerocallis, or Daylilies (as each flower only lasts for one day) are a group of summer flowering herbaceous perennials that will grow in a wide variety of soils and sites. Hardy and easy to grow, these plants provide lots of bold colour through the summer months. This week and next you can take advantage of this offer for Country Life readers. H. ‘Stafford’ (Main Image) has rich scarlet red flowers with a yellow throat. Petals are spaced well in a spidery habit. Height: 80cm. H. ‘Cool It’ is a vibrant pale, creamy-yellow flower with densely packed petals. Height: 60cm. The Country Life offer consists of one plant of Hemerocallis ‘Cool It’ and one plant of Hemerocallis ‘Stafford’ for just £9.00 saving £4.98 on their normal price.